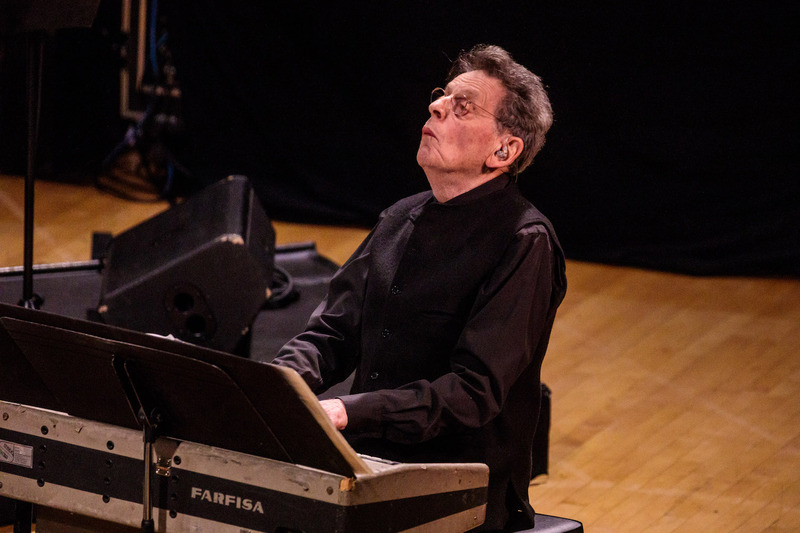 It was a bold move, the Town Hall presenting a marathon production of the Philip Glass Ensemble performing Music In Twelve Parts, an ambitious minimalist composition Glass first unveiled at the landmark New York City venue back in 1974. 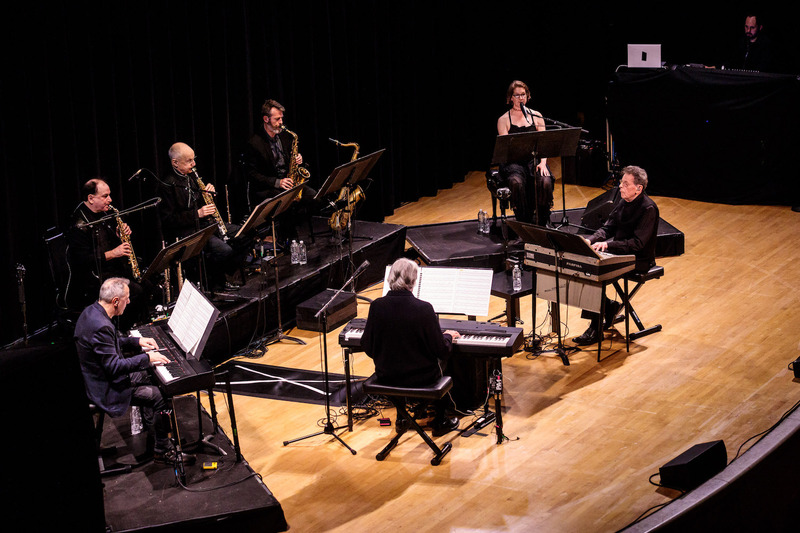 With the Saturday-night program of more than four hours of music, it was deemed there would be three intermissions, including a long dinner break. 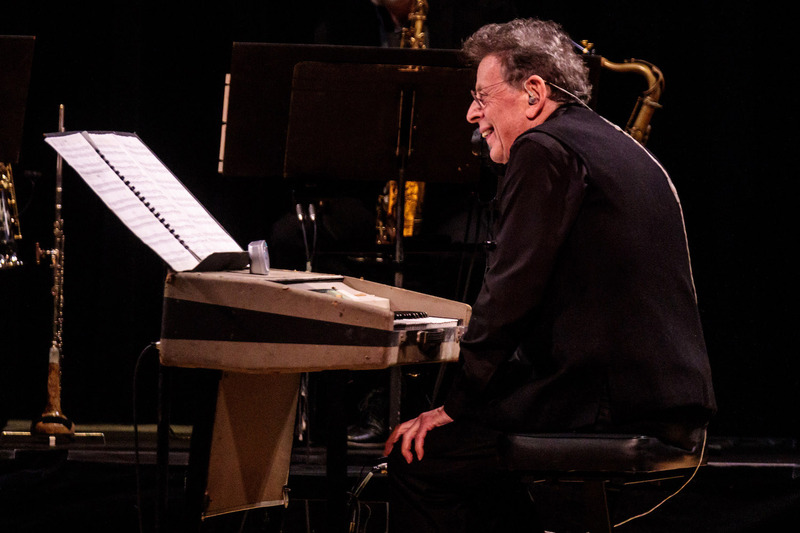 Considering that Glass himself is now 81, the intermissions made sense from a logistical standpoint, as performing Music In Twelve Parts requires the utmost precision and concentration, as well as endurance. When Glass first debuted Music In Twelve Parts, he was still moonlighting as a cab driver and minimalism was finding some favor within avant-garde communities. Having studied an impressive range of neo-modern and classical composers as well as the Indian ragas of Ravi Shankar and others, Glass began to embrace long, repetitive lines of melody that only changed most subtly over time. Stripping away all pretense of orchestral intent, his small ensemble relied on three electric organs, flutes, reeds and one female voice. Distinguishing him from minimalist influences like La Monte Young and Terry Riley as well as from peers like Steve Reich, Music In Twelve Parts was Glass’ last and most grand minimalist gesture. From then on it was onward and upward, with Glass incorporating other styles and contexts to great acclaim. But here it was, the monolithic composition once again performed by the composer, who evidently decided to get the band back together one more time. The thing about extended performances like this is that they require equal commitment from the audience, which can result in a hypnotic, exhilarating experience. Or not. 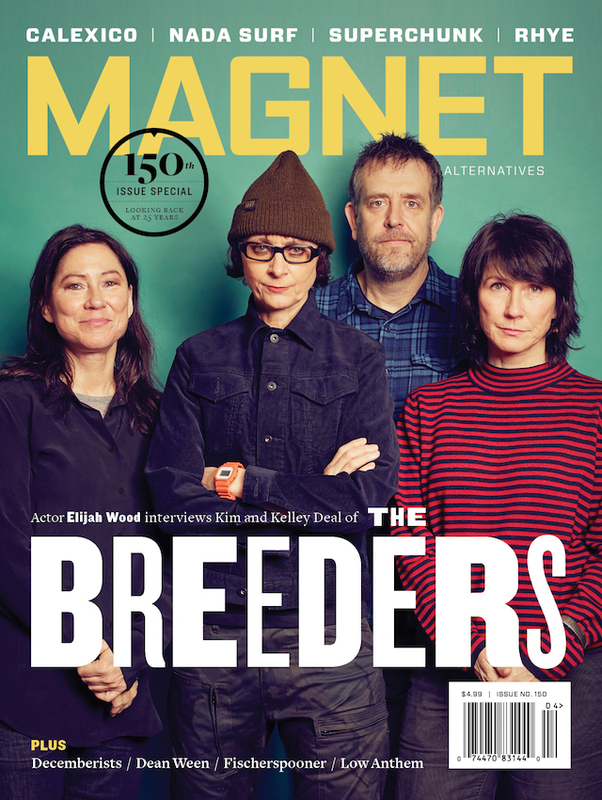 The music can easily be experienced as oppressive, relentless or, worse yet, boring. The main thing is that time (for the listener) becomes relative—it can expand or contract, or even feel like it has stopped. So much is going on musically and at the same time not much is happening at all, and you have to get your head in the right place in order to tune in for the long haul. You dig? In any case, this amazing piece of music unfolded as planned, and it was as challenging and rewarding as ever. 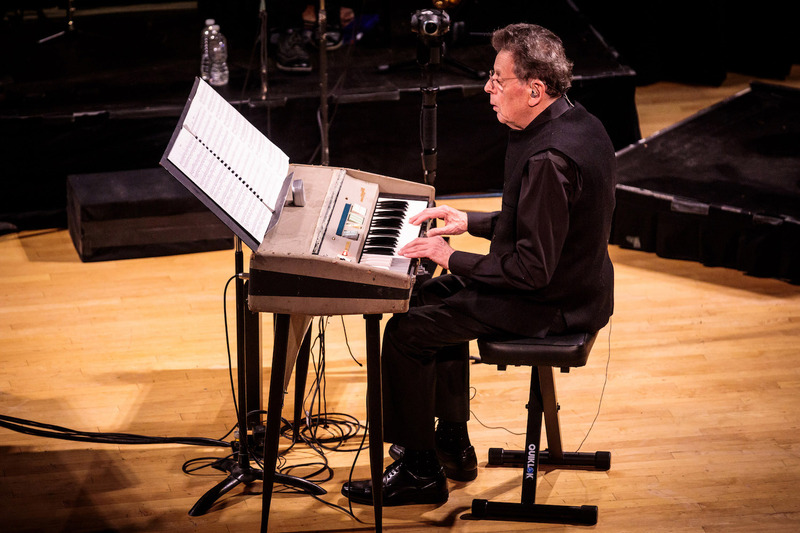 Word has it Glass played the exact same Farfisa organ that he used at the ’74 debut. 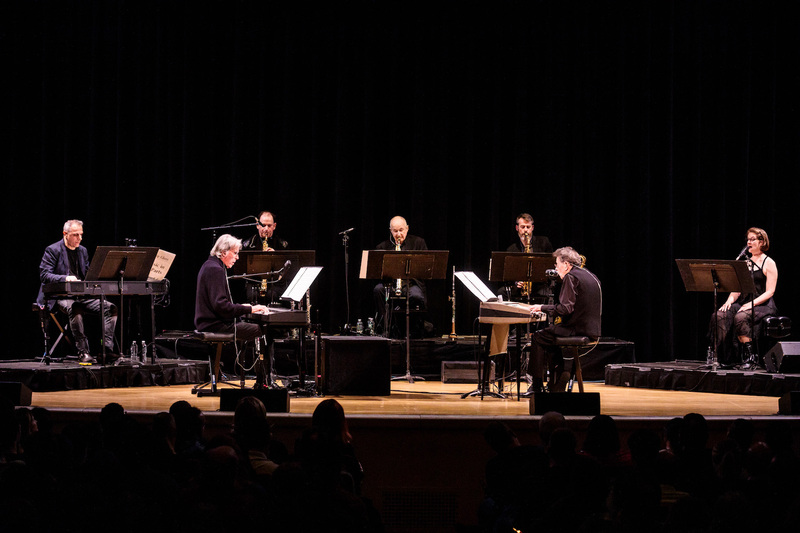 Certainly, credit does not have to go to only Glass, but to his veteran music director Michael Riesman (keyboard), Mick Rossi (keyboard), Andrew Sterman (flute, soprano sax), Peter Hess (alto and tenor sax), Jon Gibson (flute, soprano sax) and vocalist Lisa Bielawa—as well onstage audio engineer Ryan Kelly and live sound mixer Dan Bora. And did this five-hour minimalist extravaganza end too quickly?